Munich, November 03, 2017 – The Global Savings Group (GSG), a leading global digital commerce platform for advertisers, consumers, and publishers, has been awarded the ‘Wachstumschampion 2018’ (‘Growth Champion 2018’) award. 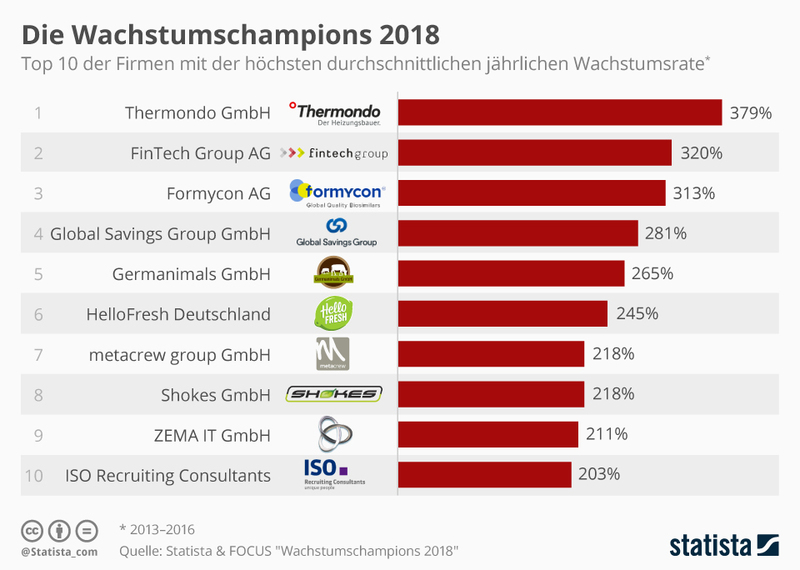 The Growth Champion 2018 ranking is compiled annually by the German business magazine Focus in cooperation with the statistics portal Statista. The ranking is based on an analysis of revenue and staff growth of independent companies headquartered in Germany between 2013 and 2016. The Global Savings Group won first place in the category ‘Advertising, Marketing and Media’ making it the fastest-growing company in this category. In total, GSG ranks fourth across all categories in the Germany-wide comparison, when benchmarked against 12,000 selected companies from various industries. The company was founded in 2012 by Andreas Fruth, Gerhard Trautmann, and Adrian Renner. More than 300 employees currently work for the platform across several locations worldwide. The GSG is headquartered in Munich, Germany. In 2016, some 100 million online shoppers around the world used discount codes, deals, or other methods to save online via the company’s more than 50 portals and websites. The Global Savings Group expects to continue its strong growth course in 2017. The gross merchandise volume (GMV) – the volume of all sales generated for its retail partners – rose by 99.4% to 463 million euros in 2016 and is expected to reach 673 million euros in 2017.